A friend of mine posted a picture on Facebook of this terminal and I decided to look more into it. 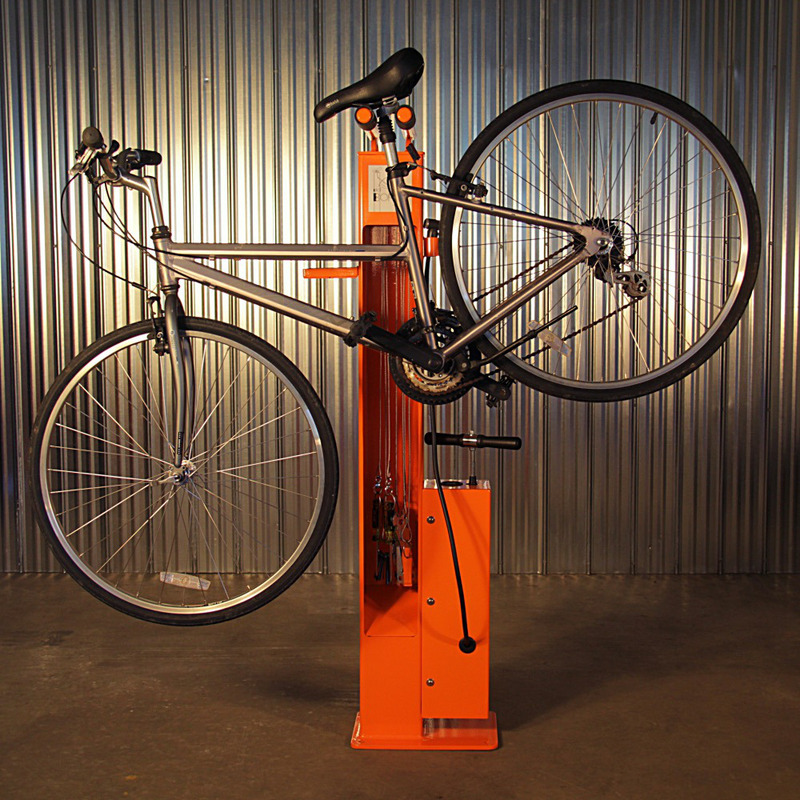 If you’re into biking you will love this idea. 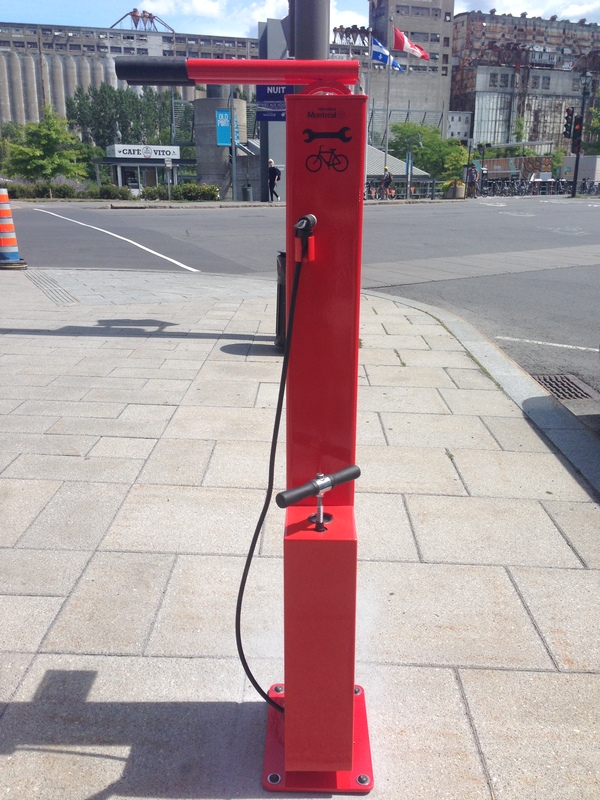 The borough of Ville Marie has installed as a pilot project, self-service terminals to repair bicycles. 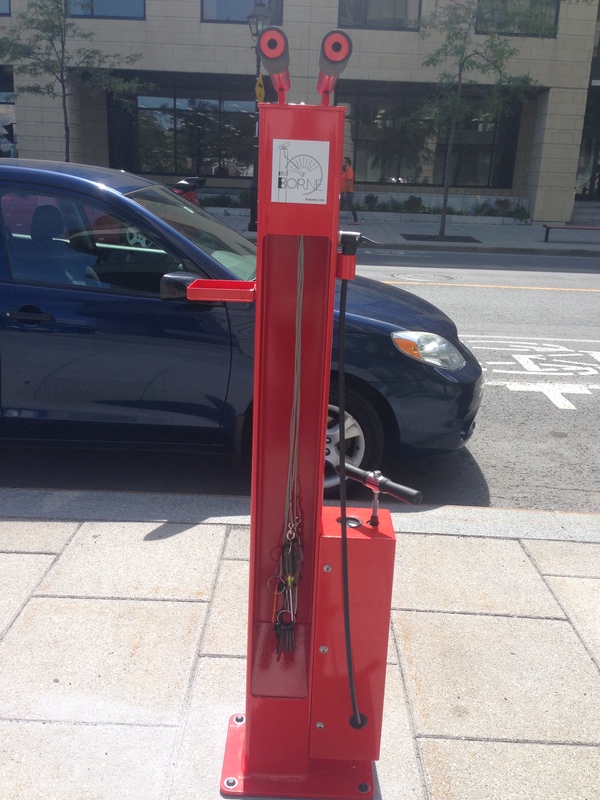 Made in Québec, Biciborne is a bicycle repair station with an air pump and multiple tools. 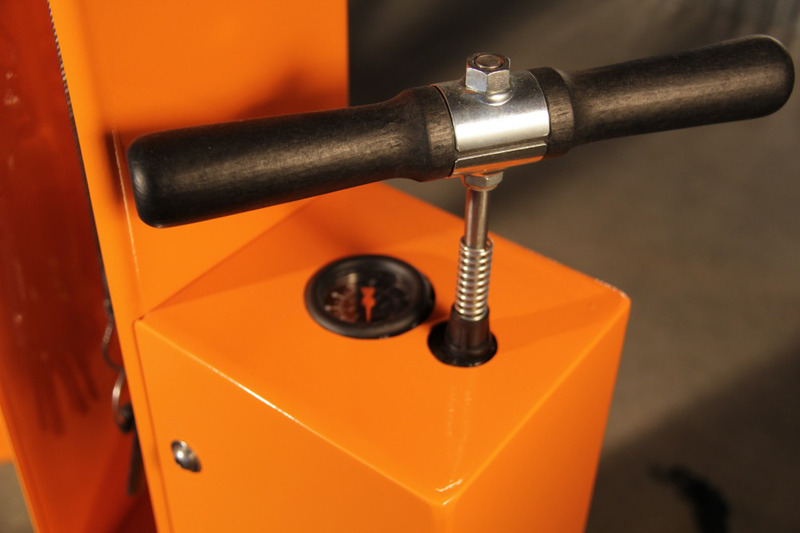 The pump is provided with an EVA tip compatible with all kinds of valves. 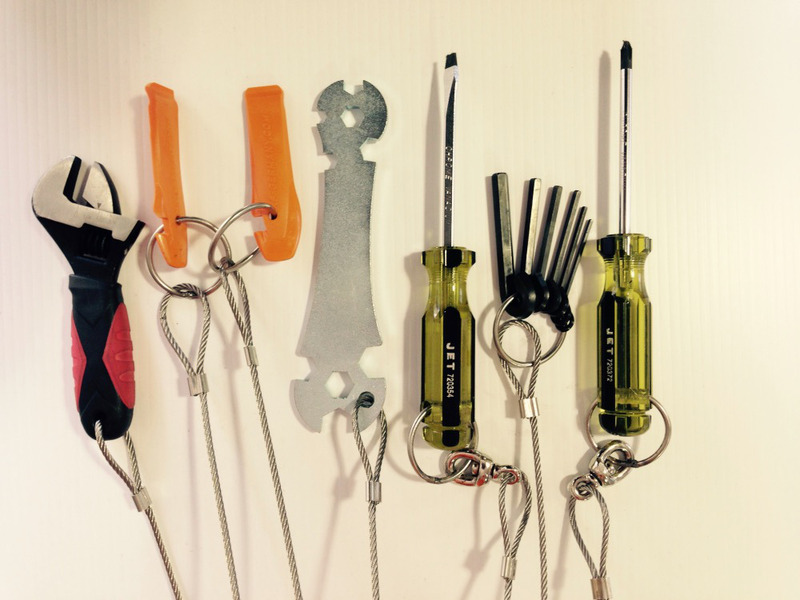 The essential to repair or adjust a bicycle are attached by stainless steel cables to the terminal, screwdriver, set of Allen keys, multi-functional wrench, adjustable wrench, and two tire levers. There are not many of them around only 3 that I found. No More “Love Locks” but did you participate in the #OLDPORTMTL contest?